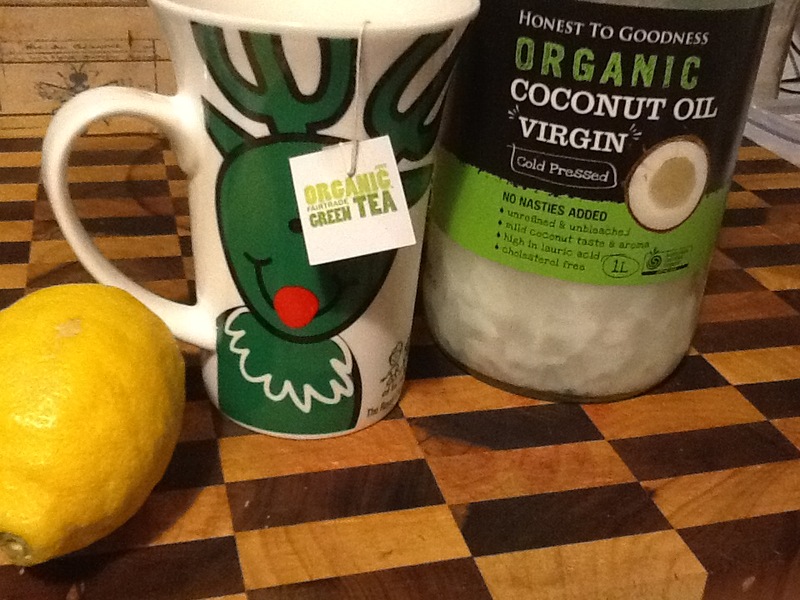 Start your day with a warming tea that is satisfying, calming, alkalising and filling. An all natural drink that will help support your wellbeing, kick start your metabolism for the day and support the detox systems within your body. 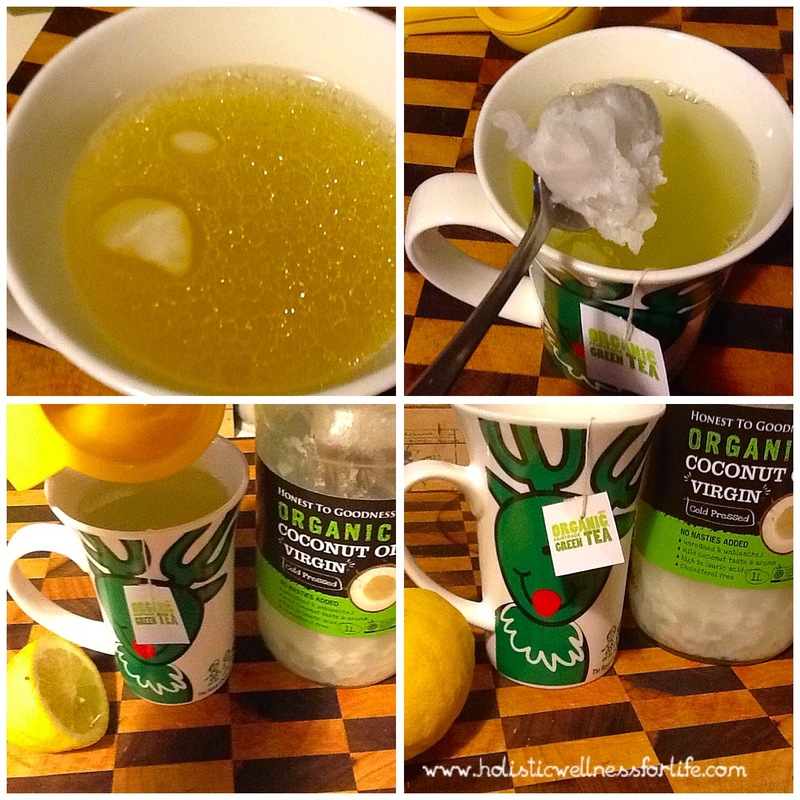 Not such an unusual flavour combination once you taste it and the inclusion of the coconut oil helps you to feel energised for hours. A great way to care and nourish your body at the start of a busy day. Simple and quick to make on a busy day. Fill your mug with freshly boiled filtered water. Place the tea bag in and let it sit for about 5 minutes. 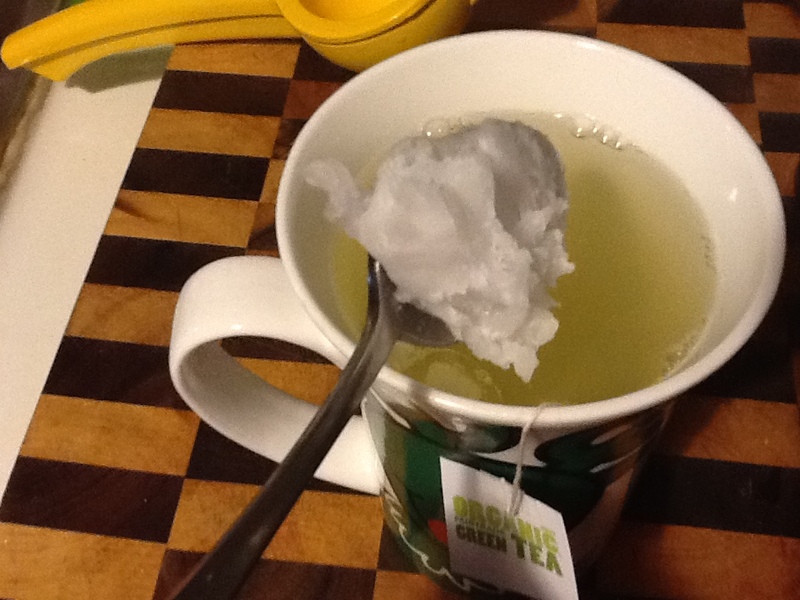 Remove the tea bag and add the juice of a small lemon and the coconut oil. Adding the lemon using my favourite kitchen gadget. Just a small teaspoon of coconut oil. 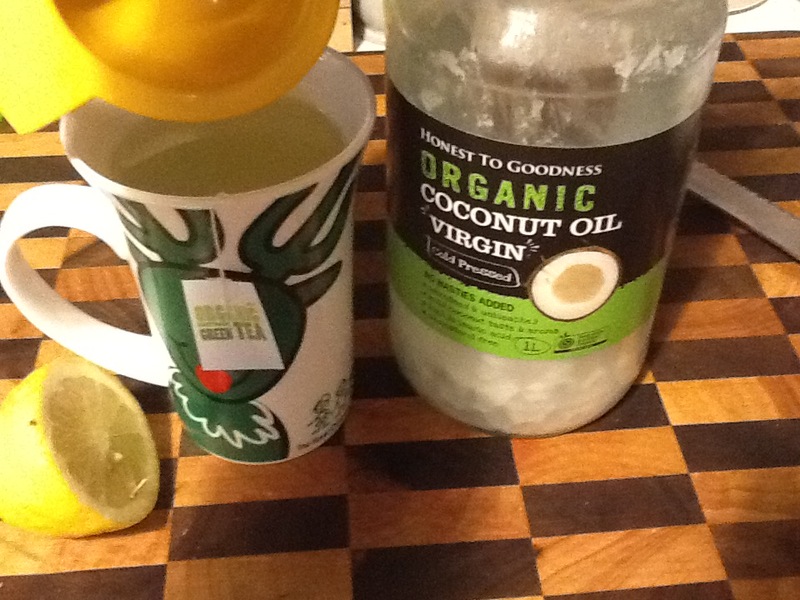 Gently stir the coconut oil into the drink. The coconut oil will slowly melt. 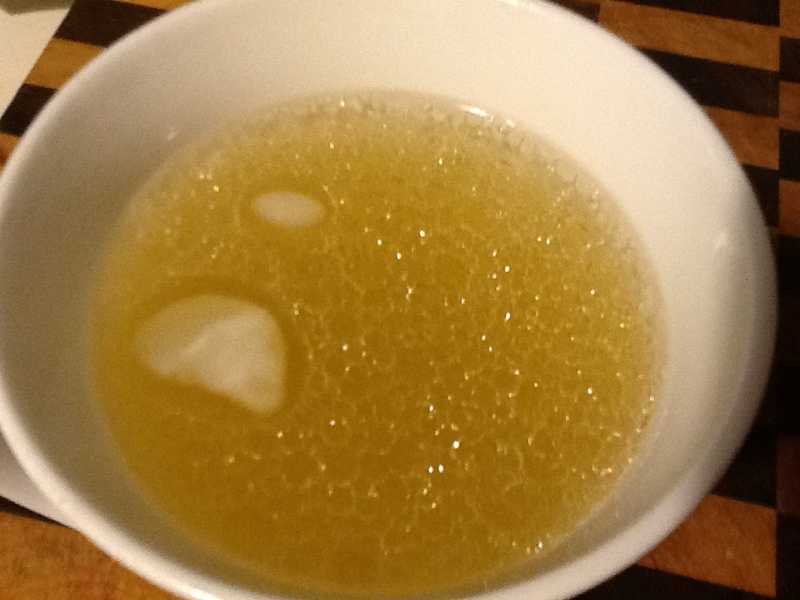 Stir the drink gently with a spoon until the oil has melted. Sip slowly and enjoy. Once the drink is 2/3’s gone fill the mug with more hot water and enjoy another cup that will still be fragrant but not quite as strong. This is a really soothing and lovely drink that will sustain you many hours so you can enjoy a late breakfast and focus on doing other things when the mornings are so busy. 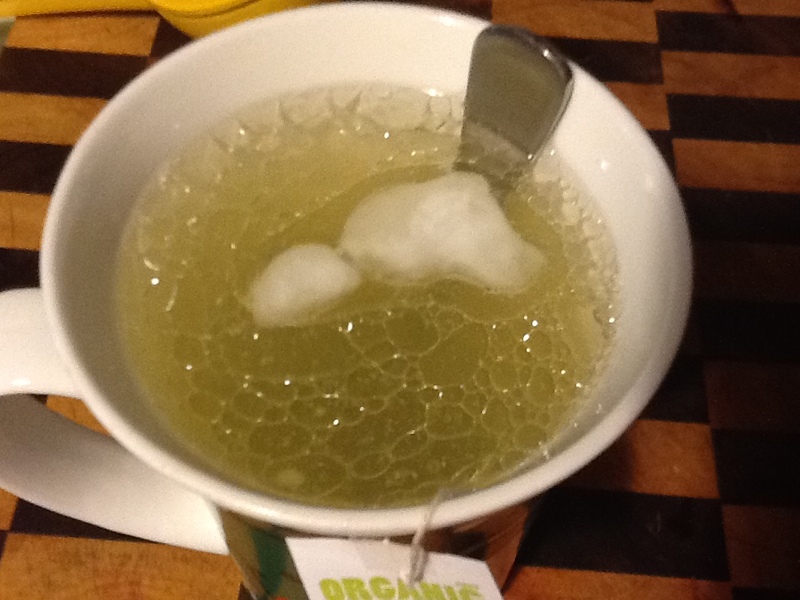 Drink this tea mindfully and think about the goodness that is going into your body and plan the day ahead of you. 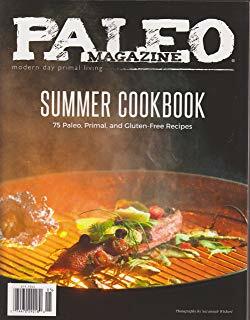 You can follow me daily on Instagram at holistic_paleo and on Facebook at Holistic Wellness For life, Gluten Free Central and Primal Living Melbourne.